Video Instrux Coming Later Today!!! *UPDATE* My YouTube uploader is glitching up, so it is most likely the video instrux won’t come TODAY. 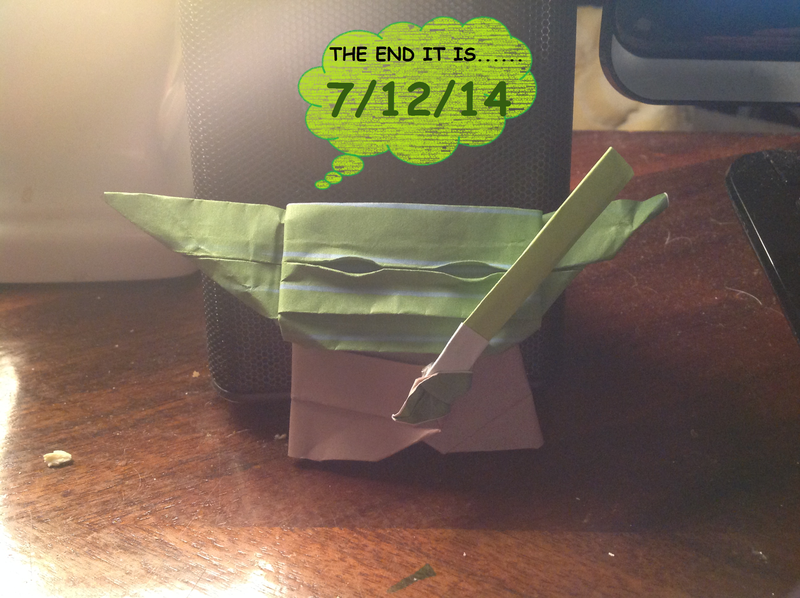 Q: What is your opinion on Origami Yoda? A: I just think it’s just a bunch of bologna. How could Dwight use the force at all?!? Star Wars may be pretty awesome, but it is pure fiction. 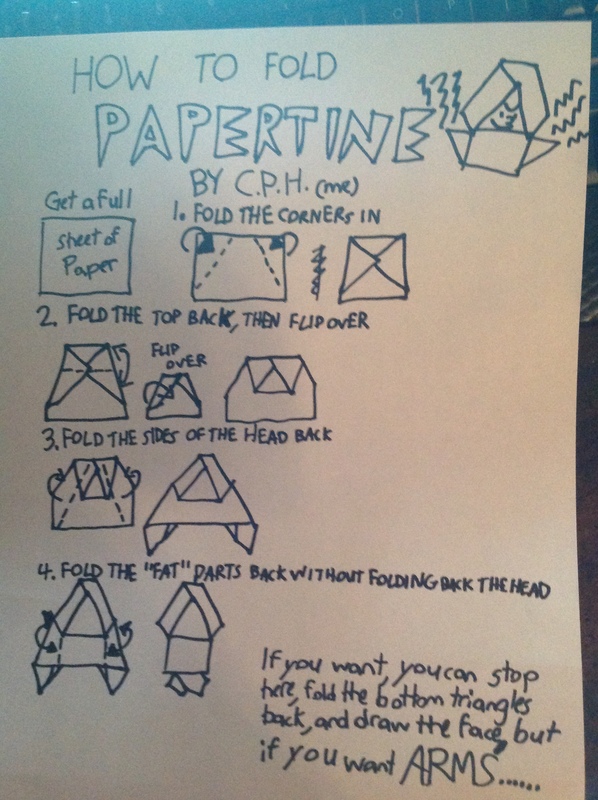 I don’t have any idea why my fellow classmates would take advise from an origami finger puppet used by a student who pokes holes in his BBQ Rib Sandwich at lunch. Q: What happened during that Field Trip of yours with Pickletine? A: HOW DO YOU KNOW ABOUT PICKLETINE?!? Um, I mean, I have no idea what you are talking about. We do not go on that field trip in two weeks. 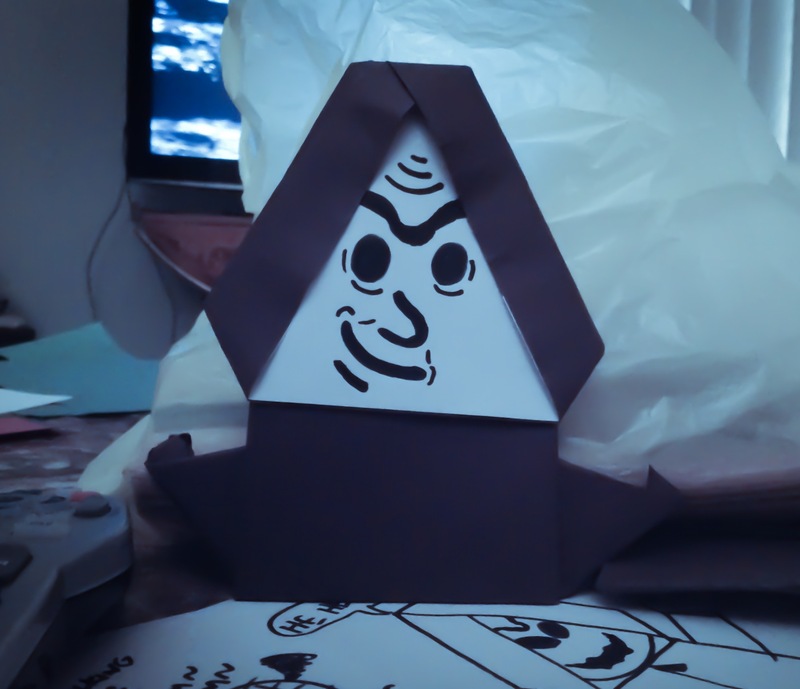 Q: Do you have any prototypes of Darth Paper you can show us? 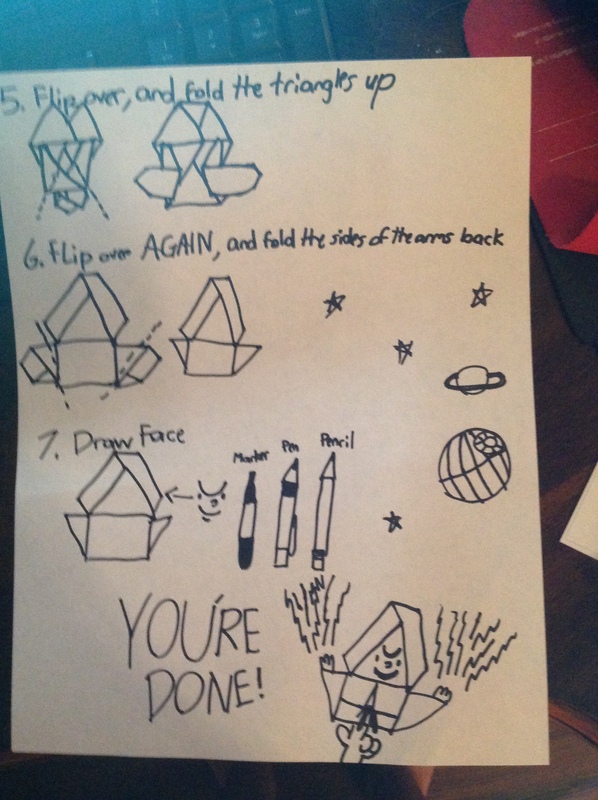 That was when I first made my instructions. Q:What is your favorite Star Wars movie from the original trilogy? A: Empire Strikes Back! DUH! 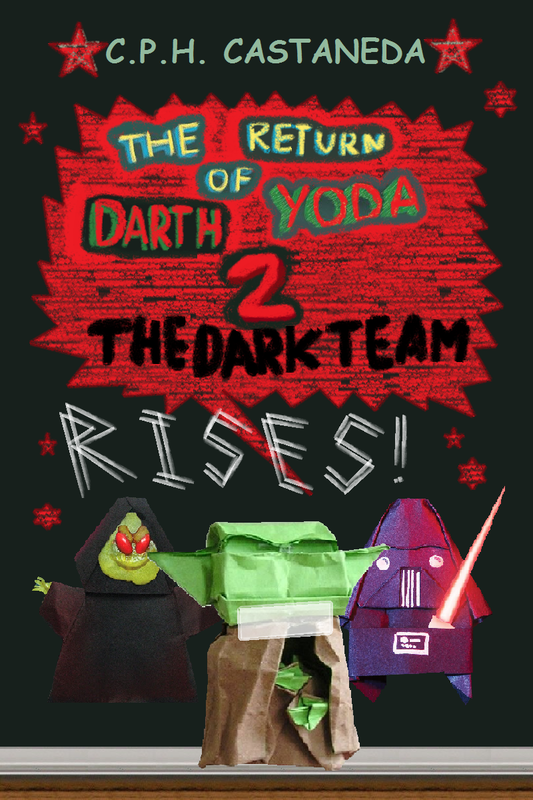 Q: In Darth Paper Strikes Back, were you serious when you said DP was a magic finger puppet? 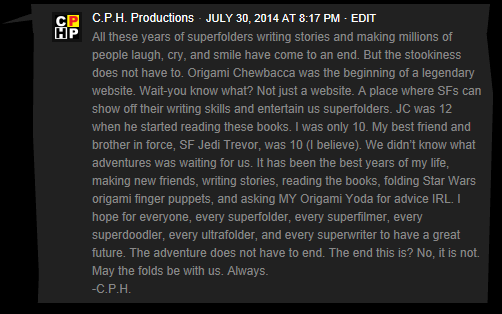 Q: What is your opinion on your cousin, JC’s website, the Origami Yoda Expanded Universe? I guess Harvey got really mad for some reason, because he never replied to my other questions. I hope you guys have a great day! This is C.P.H. signing out! I have never written a case file before, but Tommy told me to do it or Harvey would kill Origami Yoda. Anyways, Tommy handed me Darth Yoda during lunch. I put him in my pocket, and I saw Harvey coming in with a NEW Darth Yoda! I decided to tell him that now I have a Yoda to use. Harvey then said in his Yoda voice, “Duel we must. Only one survivor there will be.” Then, we put lightsabers on our Yodas and dueled. As our Yodas dueled, Harvey then led me into Rabbski’s office since she was on her lunch break in the teacher’s lounge. 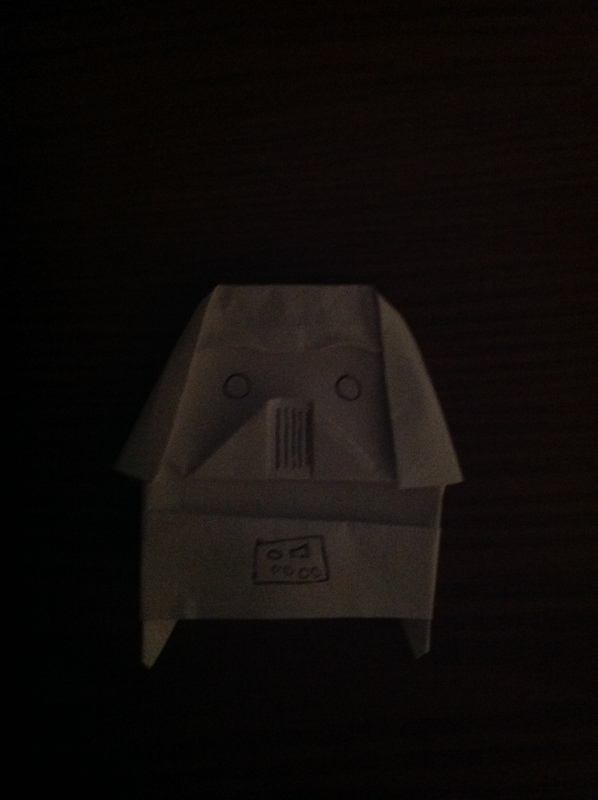 I saw Origami Yoda was tapped to Rabbski’s shredder! Harvey then ripped his old Darth Yoda off my finger and threw it into the shredder! As soon as it was gone, I heard in my head, “Always with you the Force will be.” I then quickly took Origami Yoda off the shredder, ripped Darth Yoda off Harvey’s finger, and threw him in the shredder. I then realized the security tapes and TVs were on Rabbski’s wall, so I took the footage of Harvey stealing from my personal locker, and said to him that if he makes another Darth Yoda again, I will show Rabbski the footage and get him expelled. Harvey then yelled, “YOU HAVEN’T HEARD THE LAST OF ME YET!” and took off. I then went to my locker, put the footage in it, and I haven’t touched it since. Tommy’s Comment: Wow. That was EPIC! 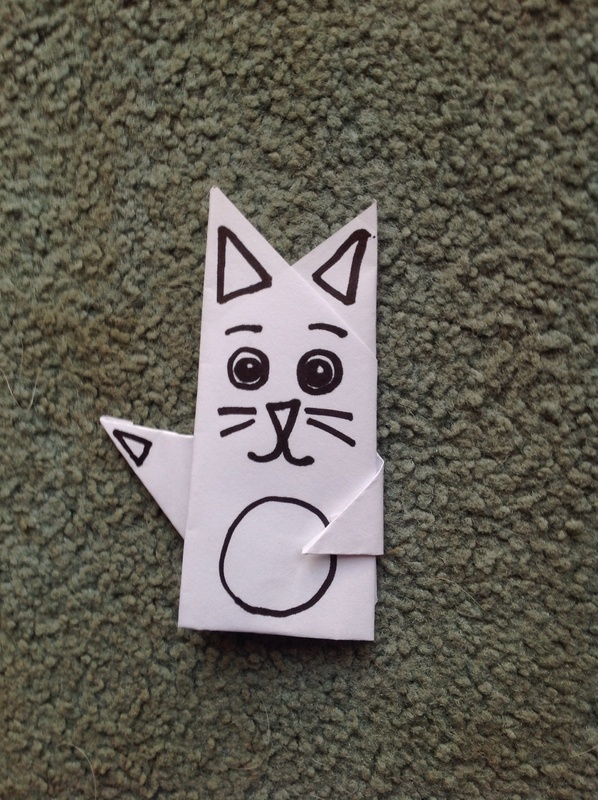 Happy Easter from Origami Everything!